FREE VERSION - The full game is available from the ingame store.This game requires an Internet connection to play.The best bits of card and board games, combined on your tablet!Welcome to a world where the essence of conflict is stored on a parchment. You use the power of creatures, spells and ancie... see more FREE VERSION - The full game is available from the ingame store. This game requires an Internet connection to play. 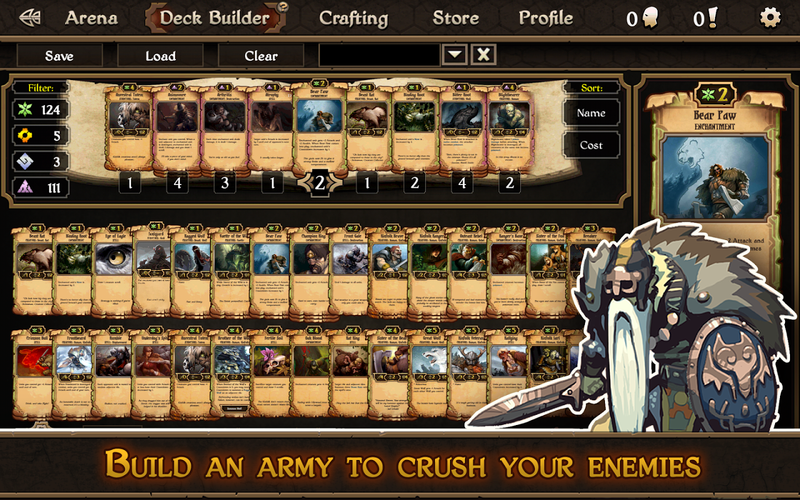 The best bits of card and board games, combined on your tablet! Welcome to a world where the essence of conflict is stored on a parchment. 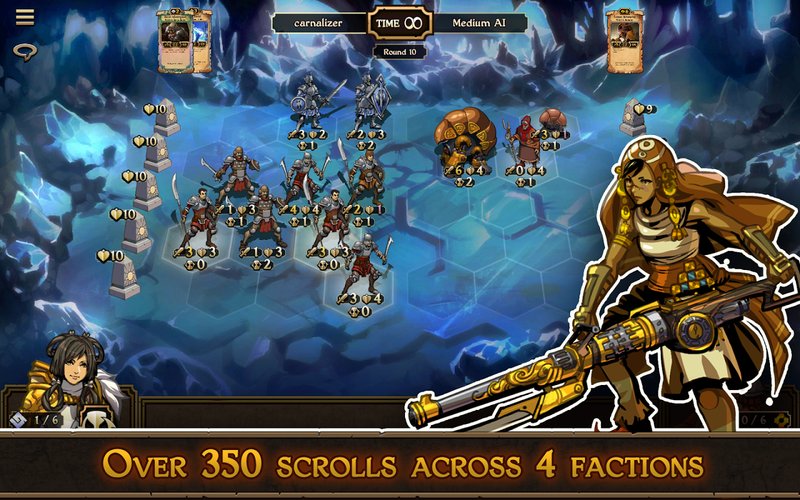 You use the power of creatures, spells and ancient machines to gain the edge in battle, deploying your forces by using scrolls: some rare, some common, some brutal, some tactical. Over time, you&apos;ll develop a unique army and the skills to manipulate it. Eventually, you&apos;ll face off against other players, proving your might in battle. A UNIQUE EXPERIENCE: Building your army is only half the battle. Develop strategies and take control of the battlefield. The best bits of card and board games, combined. BUILD YOUR ARMY: We currently feature over 350 scrolls spread across 4 unique factions. You can mix and match them as you please. PLAY SOLO, OR WITH FRIENDS: Scrolls includes single player challenges along with online competitive and casual play. CHAT AND TRADE: Trade with other scrolldiers on the black market, or spend your hard-earned gold in our store. Chat with other players both in and out of battle. Please be nice. 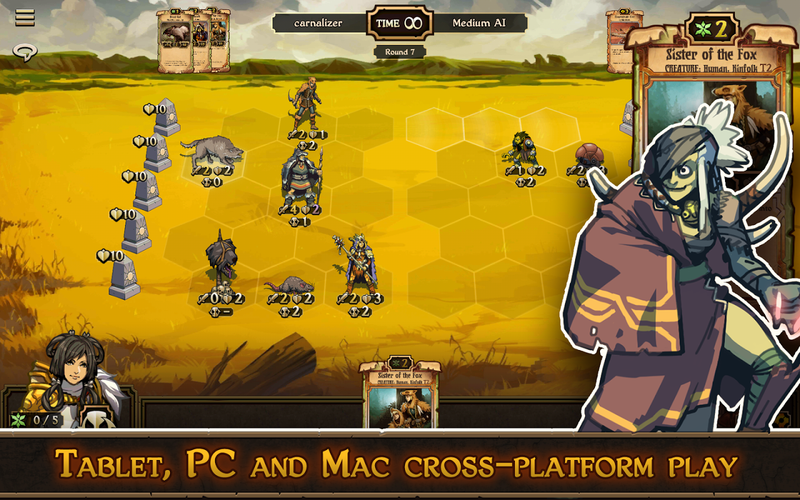 CROSS PLATFORM: Develop your skills and scrolls library by playing on Tablet, PC, or Mac. Battle with others, no matter which platform they&apos;re playing on. JUDGEMENT MODE: Build a unique deck in Judgement mode, then see how it fares against other’s creations.